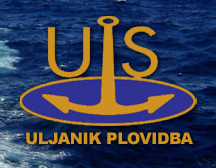 The main activity of Uljanik Plovidbe dd is maritime freight transport through fleet management of 4 bulk carriers and 5 tankers. All the boats are rented to first-class hunters and sail boats across the globe. Thanks to the obtained certificates for providing bulk carriers and tankers, we are able to manage our own fleet management autonomously and are able to take control of and overboard ships. Our experience and know-how result in a very high efficiency in the use of ships whose level is about 360 days a year, very high and within the world famous shipowners. The fleet renewal program started in 2005 and weighs around $ 540 million. As part of the program, 9 newbuildings built in domestic shipyards and 3 "secondhand" vessels have been taken up to date, and 2 new ships are expected to be delivered in the next year. This is why the company deserved the title of a Croatian shipwreck with the youngest fleet, the average age of 4 years, which is also one of the youngest and world-wide. We proudly point out that 9 ships have Pula as their home port and the Croatian flag.